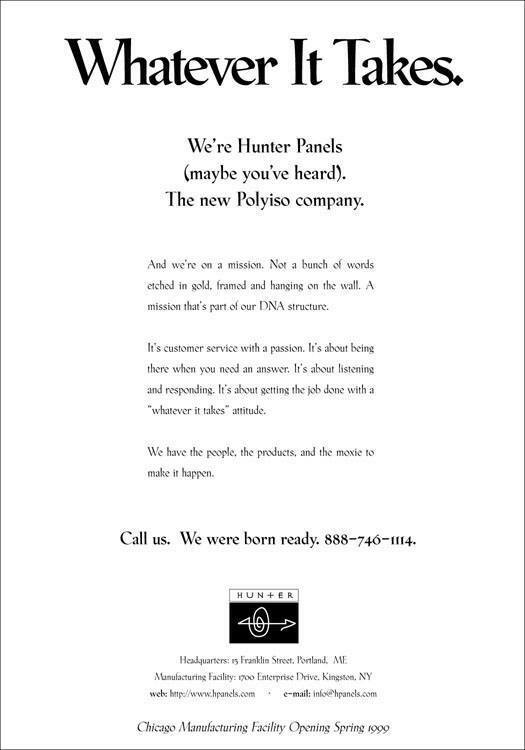 An interesting thing happened 21 years ago when Hunter set out to manufacture the absolute most effective, efficient and innovative Polyiso insulation panels available anywhere – we also created the finest customer service organization and builder support team in the industry. Go figure. 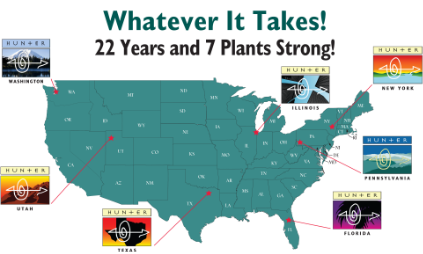 Then again, at Hunter we believe in doing “whatever it takes" to provide our customers with a full line of proven Polyiso products from our seven manufacturing facilities strategically located across the USA for fast, on-time service and availability. The Hunter team takes pride not only in driving home the message of energy conservation, but also the means. When we say that Hunter Polyiso is the cornerstone of green buildings we’re not just blowing smoke. 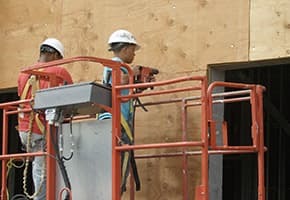 When it comes to thermal efficiency and a wide range of building applications, Polyiso insulation is the #1 insulating material available today. 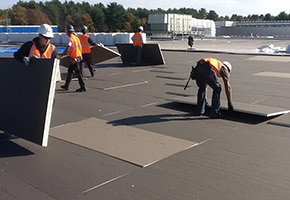 Polyiso can be installed on both commercial and residential structures, on the roof or in the wall. It’s lightweight, cost-effective and provides outstanding return on investment with significant energy savings.